Can your products and services meet the Gold standard? FIRA International Gold Certification is the recognised quality mark for products or installation services. Any product within the furniture industry can apply for FIRA Gold Certification, whether it be an entire final product, or a component. FIRA Gold applies across the furniture supply chain for both the domestic and non-domestic sectors. To be awarded FIRA International Gold, the product or installation service must be assessed against specified performance levels through rigorous tests conducted by FIRA. This procedure provides documented proof that the product or installation are of the highest standard. The FIRA Gold certification holder is then re-assessed through future audit testing and inspections to ensure standards remain high. Stand out from the competition - FIRA International Gold Certification is peace of mind for your customers that your products and services comply with all relevant legislation and meet the highest standards for the industry. FIRA Gold for Products covers all types of furniture and components. The scheme has rigorous test requirements for the products covered, backed by an ongoing audit and re-test programme to ensure that a particular product having achieved the FIRA Gold certification maintains the standard. FIRA Gold Product holders are represented both throughout the furniture supply chain and across the furniture industry, with components and products within the bathroom, bedroom, kitchen, component, upholstery, office and worktop sectors and more. FIRA Gold Product Certification helps you stand out to customers, manufacturers, retailers, specifiers and purchasers. It gives confidence products they are buying or using have been proven to meet all current applicable standards. They can also be reassured that these standards will be maintained through ongoing third party auditing. As the recognized installation approval scheme for the furniture and kitchen industries, FIRA Gold often appears on tender documents for the public and private sector. 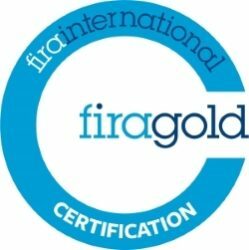 To achieve FIRA Gold, your company must be able to demonstrate your installers are suitably qualified and that all necessary procedures, documentation and quality standards are in place. This ensures the same high level of installation is offered to consumers throughout the country - no matter which contractor carried out the work. As the service provider you need reassurance that the installation team, whether employees or sub-contract labour, all carry out the work to the same high standards. The FIRA Gold process helps ensure installations meet customer expectations. Our Technical Manual covers all areas of installation ensuring consistency across all jobs and providing a template of standards to work to. FIRA experts audit a selection of installations to ensure procedures are being followed and standards are being met.